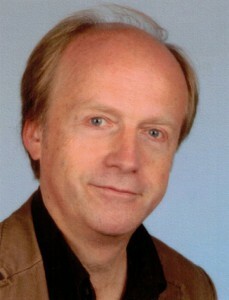 Dr. Albrecht Dümling, born 1949 in Wuppertal/Germany, lives as a musicologist and music critic in Berlin. After studying Music, Musicology, Journalism and German Literature in Essen, Vienna and Berlin (Carl Dahlhaus), in 1978 he finished his doctoral dissertation, an interdisciplinary study on Arnold Schönberg and Stefan George. He presented the first comprehensive book on Bert Brecht’s collaboration with composers. As a co-founder of the International Hanns Eisler Society Dümling was instrumental in creating the new Eisler Gesamtausgabe (HEGA), the complete edition of the musical and literary works of the composer. After twenty years as music critic for the Berlin newspaper “Der Tagesspiegel” (1978-1998) and the “Frankfurter Allgemeine Zeitung”, he now contributes to the “Neue Musik-Zeitung” and several radio programs. He is also Honorary Research Associate at the Royal Holloway University London and member of the Advisory Board of the International Centre for Suppressed Music in London. As a Scholar at the Getty Center for the History of Art and the Humanities he in 1989/90 created the American version of the exhibition “Entartete Musik. A critical reconstruction (Düsseldorf 1938/1988)”, which travelled to more than 50 places world-wide (including the Royal Festival Hall London and the Vienna State Opera). In 2007 he developed a Spanish version for the University of Sevilla and a new German version for the Berlin Philharmonic Orchestra. Since 1990 he is chairman of “musica reanimata“, Society for the Promotion of Composers persecuted by the Nazis, which in 2006 was awarded with the German Critics’ Prize. 1992-99 he served as Project Consultant for the DECCA CD-series “Entartete Musik“. In 2000-2004 he conducted a research project on German-speaking refugee musicians in Australia at the Center for Research on Antisemitism of the Technical University Berlin and at the National Library of Australia. For his activities for the rediscovery of persecuted musicians he was awarded with the European Cultural Prize KAIROS of the Alfred Toepfer Foundation Hamburg.